Over the last few years we have been intent on this visiting this amazing rock formation located in outback Western Australia. Wave Rock is a unique geological formation and well worth the trip. Wave Rock is located just outside of Hyden a Wheat belt town in outback Western Australia. 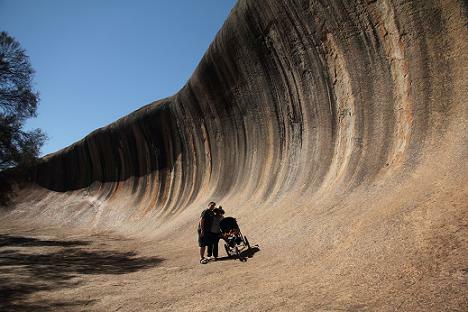 Wave Rock is a 14 metre high, 110m long rock face. The rock looks just like a huge red wave. You almost expect somebody to be surfing the wave. The rock formed over 2700 million years ago and is part of the Hyden Rock. The shape of the wave is formed by gradual erosion, the soft rock beneath the upper edge of wave rock erodes over many centuries. The colours of Wave Rock are caused by water washing chemical deposits such as carbonates and iron hydroxide down the rock face. You will find vertical stripes with grey, red and yellow color ores. 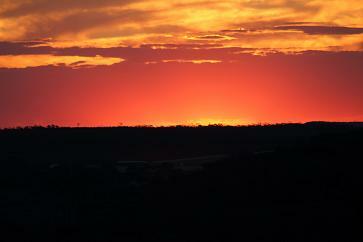 I recommend getting up early in the morning for your first photos and the sunsets from Wave Rock are truly spectacular. 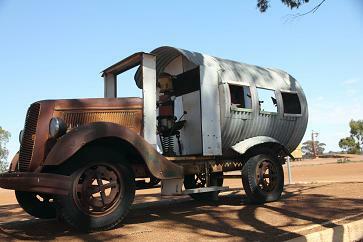 I found walking around Wave Rock presented many opportunities for some very interesting photos. Even the relatively recent addition of a rudimentary aqueduct, the rock for this was mined on site, it was designed to capture rain water from the top of the rock and then channel it into a dam built into the rock. This dam helped provide water for steam engines used in the early part of the 19th century. There are numerious photo opportunities. This aqueduct still forms a function as a catchment for the town's water supplies. Wave Rock is about a 4 hour drive from Perth or aroound 5 hours from Esperance. Please use the map below for more detailed information on how to get there.